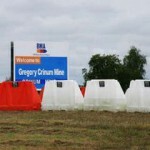 Australian miners feared killed in Indonesia (0) August 4, 2011 Four Australian miners from Newcrest are believed to have been killed in a helicopter accident in Indonesia. 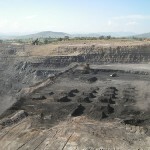 Lobby group wants community meeting about Camberwell mine (0) August 3, 2011 A lobby group in the Hunter Valley believes a public hearing should be held to deal with the controversial proposal for an open cut mine south of Camberwell. 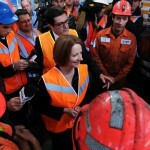 Mining should be excluded from carbon tax: magnetite miner (0) August 3, 2011 Australia’s largest magnetite producer is expecting to be out of pocket $11 million by the Gillard government’s carbon tax and diesel fuel rebate. Mining grants to encourage safety in the community (0) August 3, 2011 Grants of $13 000 from the mining industry will support the development of health and safety innovations across the NSW Central West region. Mental health services failing rural workers (0) August 3, 2011 New research has proven what many have known for decades; the rates of depression and stress amongst rural and regional workers, including miners, are disproportionately high. Barrick calls carbon tax manageable (0) August 3, 2011 Barrick Gold’s Gary Halverson has described the carbon tax cost of about US$12 per ounce for his company as “not insignificant but manageable”. DMP investigate Frog’s Leg safety allegations (0) August 3, 2011 The West Australian Department of Mines and Petroleum is investigating allegations that safety has been compromised at an Eastern Goldfields mine. Anger at Sydney CSG meeting (0) August 2, 2011 The controversial coal seam gas debate has reached New South Wales, with a community meeting in inner west Sydney last night producing some angry exchanges between environmentalists and mining representatives. Bundaberg luring FIFO miners (0) August 2, 2011 The city of Bundaberg, in Queensland, is trying to lure fly-in, fly-out (FIFO) mine workers. Calls for increased action on Hunter Valley air quality (0) August 2, 2011 Hunter Valley residents have called for action to improve air quality following high particulate matter concentrations over the weekend. Centrex gets approval for Eyre Peninsula iron ore mine (0) August 2, 2011 Mining company Centrex Metals has been given approval from the South Australian government to mine iron ore in the Eyre Peninsula. Pike River Inquiry defining when workers died (0) August 2, 2011 Narrowing down the specific time the 29 Pike River workers died will be the key focus of the next stage of the Royal Commission of Inquiry. Caterpillar to open new excavator component factory (0) August 2, 2011 Caterpillar has announced it will open a new factory to produce components for hydraulic excavators. Rio completes talc divestment (0) August 2, 2011 Rio Tinto has finally completed the divestment of its talc arm to Imerys. 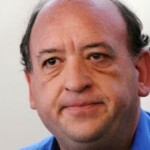 Coretrack drops CEO (0) August 2, 2011 Drilling company Coretrack has sacked its CEO Nanne van’t Riet. 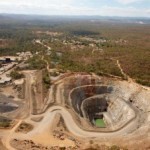 NSW may consider uranium mining (0) August 1, 2011 New South Wales may consider allowing uranium exploration and mining following calls from Federal resources minister Martin Ferguson. SBS launches energy documentary (0) August 1, 2011 SBS will show a new documentary – Power Surge – which looks at the global race to find energy solutions and reduce carbon levels. 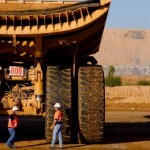 SA Premier to step down after Olympic Dam expansion finalised (0) August 1, 2011 South Australian Premier Mike Rann has announced he will step down from the position, but not before the issues at Olympic Dam are sorted. 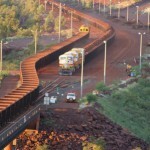 Atlas, BHP rail access plan fails (0) August 1, 2011 Yet another Pilbara iron ore rail access plan has failed. Miners remember lost mates at Ipswich (0) August 1, 2011 While the Pike River mine tragedy and even the Beaconsfield tragedy are fresher in most of our minds, there was a different one affecting some people yesterday. 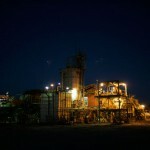 VDM wins BHP nickel contract (0) August 1, 2011 VDM Group has signed a $40 million contract for work at BHP Billiton’s Kambalda nickel mine. 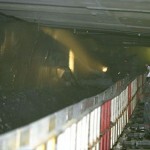 Coal miners killed in Ukraine (0) August 1, 2011 Thirty seven Ukrainian miners have been killed in mining accidents. 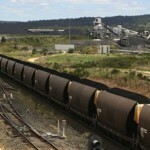 Aboriginal community say Ashton Coal damaging significant site (0) August 1, 2011 A traditional Aboriginal group in the New South Wales Hunter Valley have begun legal action against Ashton Coal for allegedly damaging a significant site. 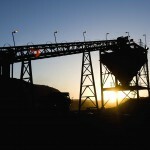 Mining union wins court battle, warns of more industrial action (0) July 29, 2011 Following a successful legal attack on Rio Tinto, the mining union has warned more companies will face more industrial action if they fail to negotiate successfully. Red carpet rolled out in Perth for film premiere (0) July 29, 2011 The star of a new Australian feature film walked the red carpet in Perth at the premiere of his new movie last night; using all four of his legs. 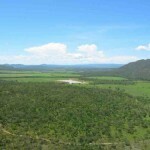 Aquila expects return to full production after floods impact (0) July 29, 2011 Despite its quarterly coal production being significantly impacted by the unforeseen wild Queensland weather, Aquila Resources expects its mine to reach capacity by the end of the year. SA mining industry urges govt to end Arkaroola dispute (0) July 29, 2011 The South Australian government and mining company Marathon Resources have been told by mining industry leaders to find a resolution to their $15 million dispute. 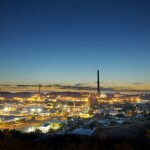 Whyalla blast furnace back on track (0) July 29, 2011 OneSteel’s Whyalla blast furnace has now ramped up to normal operating levels following repairs. 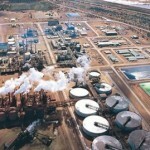 BHP approve GEMCO expansion (0) July 29, 2011 BHP Billiton has announced the approval of the second expansion phase of its GEMCO operation in the Northern Territory. Yancoal miners made redundant (0) July 29, 2011 Yancoal has made 18 miners redundant at its Ashton coal mine, with another 90 expected to lose their jobs in the coming weeks. Vale assure coal mine safety after emergency shutdown (0) July 28, 2011 Vale has assured the industry safety of its Integra underground coal mine, after it was forced to close the mine due to a suspected methane leak. Virtual rescue simulator launched in Hunter Valley (0) July 28, 2011 A virtual reality mine training and rescue simulator has been launched today by Senator Chris Evans. 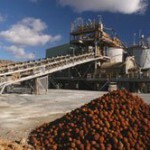 Gov should not pay compo to miner, Greens say (0) July 28, 2011 The South Australian Government should not offer compensation to Marathon Resources following its ban on operating in the region, the Greens say. Earthquake rocks Kalgoorlie (20) July 28, 2011 Kalgoorlie-Blouder has been shaken by a 3.3 magnitude earthquake. Methane fears shutdown coal mine (0) July 28, 2011 A potential methane leak has forced the immediate closure of Vale’s Integra underground coal mine in the Hunter Valley. CSIRO develop international mining research centre (0) July 28, 2011 The CSIRO, University of Chile and the Chile International Centre of Excellence in Mining and Minerals Processing have crated a new mining research centre. Iluka to resume Eneabba mining. 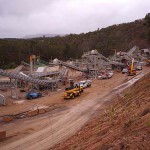 (0) July 27, 2011 Iluka Resources will restart mining at its Eneabba project and is kickstarting its synthetic rutile kiln 3 for a commercial campaign. 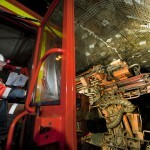 Ausdrill to establish underground division (0) July 27, 2011 Ausdrill will create a new underground mining division following its failure to acquire Barminco. 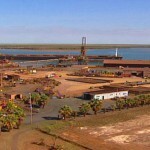 Fortescue rules out Indigenous royalty deal, CEO says (0) July 27, 2011 Fortescue Metals Group has ruled out a royalty deal with Indigenous land owners for its Solomon iron ore project, CEO Neville Power says. Mine planning prize (0) July 27, 2011 Graduate planner Ceit Wilson has won the Minister for Local Government’s Town Planning Prize 2011 Award in Queensland. 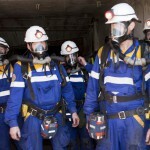 New union ruling raises miners fear (0) July 27, 2011 A new Federal Court ruling has raised concerns amongst miners, fearing that it may herald the return of militant union activity on West Australian mine sites. 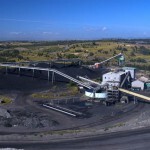 Downer wins Xstrata coal contract (0) July 27, 2011 Downer EDI has secured a contract for the development of a coal handling and preparation plant at Xstrata’s Ravensworth North Coal project. 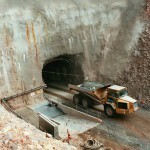 Xstrata to develop Lady Loretta zinc deposit (0) July 27, 2011 Xstrata Zinc has announced the development of the underground Lady Loretta high-grade lead zinc deposit in Queensland. “Dramatic” changes to mine safety (0) July 26, 2011 Miners throughout New South Wales have been recognised for their innovation and commitment to safety by the state’s leading resource body. AJ Mayr slashes Tomago jobs (0) July 26, 2011 Steel fabricator AJ Mayr NSW has cut 40 jobs, which will have a major impact on Hunter Valley coal mining. QCAT hosts open day (0) July 26, 2011 The Queensland Centre for Advanced Technologies is hosting its open day Thursday. 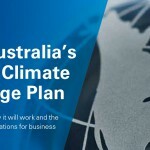 Orica to pay $8 million under carbon tax (0) July 25, 2011 Orica has predicted a better performance next year, but says the carbon tax will have a significant impact on the company. Fortescue can survive iron ore slump (0) July 25, 2011 Fortescue Metals Group will stay profitable even if iron ore prices slump by $100 a tonne, CEO Nev Power says. 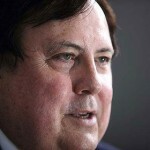 Carbon tax to cost QLD $1 billion in lost royalties (0) July 25, 2011 Queensland Resources Council CEO Michael Roche has told a Senate Committee hearing that it has ignored a $1 billion coal royalty loss due to the carbon tax. Anti-carbon tax ads slammed (0) July 25, 2011 Climate change groups have dismissed the anti-carbon tax ad blitz launched on Sunday, and its ‘shaky numbers’. 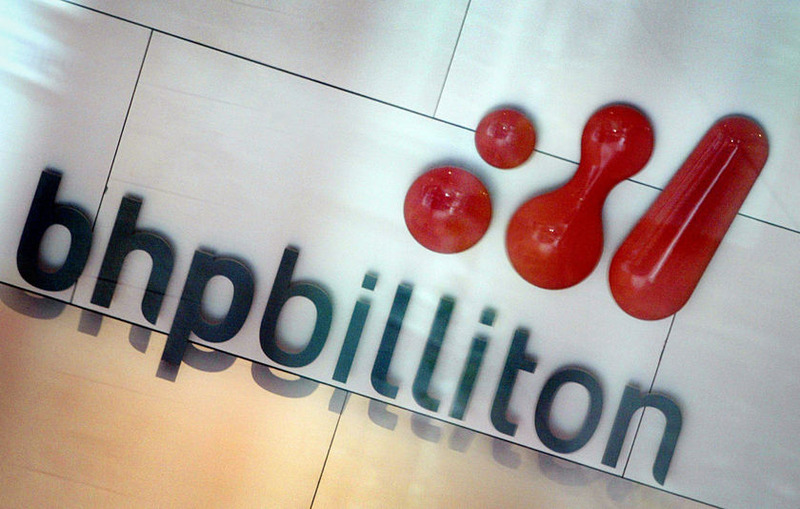 BHP wins court case over employment scam (0) July 25, 2011 Despite recent controversy over an employment scam, BHP Billiton will continue to source workers from external agencies. 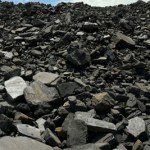 Overburden dumping complaints in the Hunter Valley (0) July 25, 2011 The NSW Department of Planning and Infrastructure has issued a warning to a Hunter Valley mine after complaints of unrestricted dumping. 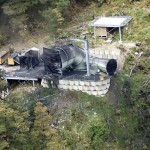 Enhanced Pike River footage “definitely” shows bodies: families (0) July 25, 2011 Enhanced video footage taken inside the Pike River coal mine after the explosions that killed 29 men in November definitely shows two bodies, according to the spokesman for victims’ families. Contamination fears for Dee River (0) July 25, 2011 Calls have been made for a full investigation into pollution in the Dee River, with fears of contamination from nearby closed mines. Wayne Bennett to address miners on safety (0) July 25, 2011 NRL super coach Wayne Bennett will address New South Wales’ largest mining safety conference in the Hunter Valley today. 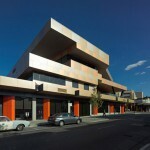 DMP Mount Magnet office closed (0) July 25, 2011 The Department of Mines and Petroleum has temporarily ceased operations at its Mt Magnet office. 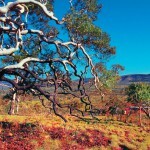 Lobby groups slam Arkaroola mining ban (0) July 22, 2011 South Australia’s Chamber of Minerals and Energy and the Australian Uranium Association have voiced their disappointment in the Arkaroola mining ban. Mining in Arkaroola banned (1) July 22, 2011 South Australian premier Mike Rann has banned mining in the state’s Arkaroola wilderness. 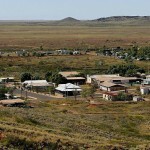 Lifting Burra mining ban conditional, councillor says (0) July 22, 2011 Conditions must be in place if the ban on Burra’s Monster copper mine is lifted, Goyder Council head John Brak says. More strikes at BMA mines (0) July 22, 2011 Following on from a total ban on overtime, unions have pledged to continue industrial action against BMA over rostering and pay requirements. QLD flood damage confirmed (21) July 22, 2011 The coal industry in Queensland has confirmed the extensive damage caused by widespread flooding last year. 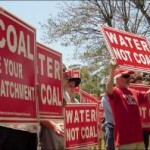 Moratorium extended on fracking in NSW (0) July 22, 2011 Tougher rules on the fracking process used to extract coal seam gas will be introduced in New South Wales. Ernest Henry set new safety records (0) July 22, 2011 Xstrata’s Ernest Henry mine has set a new record safety achievement in the first half of 2010. 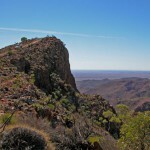 Greens call for Arkaroola mining ban (0) July 22, 2011 Greens MP Mark Parnell says he hopes the South Australian Government will today announce a full ban on mining in the Arkaroola wilderness in the northern Flinders Ranges. 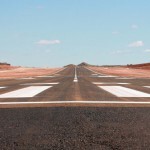 100% FIFO necessary: BMA boss (0) July 22, 2011 BMA has weighed in on the debate surrounding the company’s proposed 100 per cent fly-in, fly-out (FIFO) workforce at its Caval Ridge operations near Moranbah, saying plans have been misunderstood. 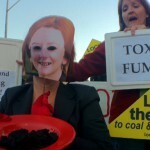 Angry coal seam gas protestors crash Gillard meeting (0) July 21, 2011 Prime Minister Julia Gillard has evaded coal seam gas protests as she continues her carbon tax roadshow in Queensland. 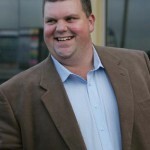 Teen arrested over Tinkler car theft (0) July 21, 2011 An arrest has been made over the theft of mining magnate Nathan Tinkler’s luxury car. 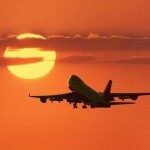 FIFO could save QLD tourism (0) July 21, 2011 The much-criticised fly-in, fly-out (FIFO) arrangements used in the resources industry may have more important benefits than first thought, particularly for the tourism market in Queensland. 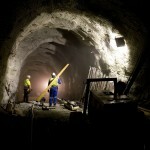 Zimbabwe threatens to kick out foreign miners (0) July 21, 2011 Foreign miners will be expelled from Zimbabwe unless they meet a September deadline for a proposal to sell the majority of shares to locals, the Zimbabwean empowerment minister says. 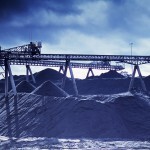 “Average” mines don’t exist: Queensland mining industry (0) July 21, 2011 The coal industry in Queensland believes there is no such thing as the “average” mines the Gillard government’s carbon tax refers to. 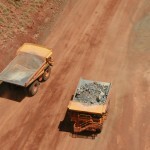 Nomad wins Rio Tinto accommodation contracts (0) July 21, 2011 Nomad Building Solutions have been awarded two contracts for accommodation at Rio Tinto’s Pilbara iron ore projects. WA Gov sets magnetite royalty rate (0) July 20, 2011 The West Australian Government has announced a set royalty rate of 5% for magnetite concentrates. 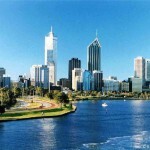 Perth reclassified as regional city (0) July 20, 2011 Perth will be reclassified as a regional city, to make it easier to employ foreign workers. 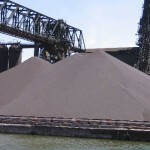 BHP achieves record iron ore production (0) July 20, 2011 BHP Billiton has lifted its global iron production by nearly 10%, achieving a new record. Workers strike at Dampier (0) July 20, 2011 Mermaid Marine employees will carry out strike action at their Dampier Supply Base. 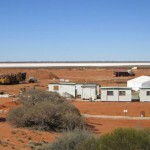 Toro’s WA uranium project enters next phase (0) July 20, 2011 Toro Energy’s Wiluna uranium project has entered the public exhibition phase of assessment. 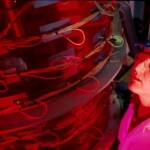 Next generation copper smelting technology (5) July 20, 2011 A new research collaboration between the University of Queensland and a Chinese company will develop the next generation of copper smelting technology. NSWMC say Gov. 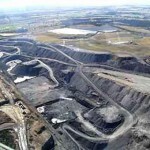 has carbon tax figures wrong (0) July 20, 2011 The NSW Minerals Council say the Government has the carbon tax figures wrong when it comes to coal mines. 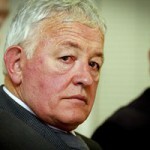 Former Pike River CEO’s day in court (0) July 20, 2011 The former chief executive of Pike River Coal, Peter Whittall has taken the stand at the Royal Commission of Inquiry into the November 19 tragedy that killed 29 men underground. 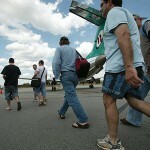 FIFO debate continues: protests expected (23) July 19, 2011 Fly-in fly-out workers may decrease significantly in coming years, as the industry focuses on better health and safety of its staff. Possible 24hr strikes at Bowen Basin mines (0) July 19, 2011 The strikes at BHPBilliton’s Bowen Basin mines look set to continue as the company fails to reach an agreement with the union. Mining communities call on Bligh to reject FIFO bid (0) July 19, 2011 Residents from mining communities around Queensland will meet in Moranbah tonight to call on the Bligh Government to reject BMA’s 100% FIFO bid. 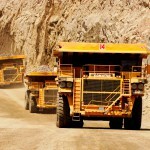 Mining tax uncompetitive, AMEC says (0) July 19, 2011 The Association of Mining and Exploration Companies say the Minerals Resource Rent Tax will be anti-competitive and create an uneven playing field between emerging miners and large conglomerates. 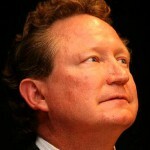 Twiggy refuses cash for Pilbara Aboriginal community in “social breakdown” (0) July 19, 2011 Mining magnate Andrew “Twiggy” Forrest has added more fuel to the fire in the disagreement between his company and an Aboriginal community in the Pilbara. 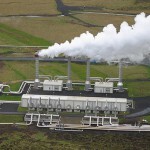 Pacific Energy wins Sandfire power station contract (0) July 19, 2011 Pacific Energy has won the contract to build a 20MW power station at Sandfire Resources’ Degrussa copper gold project. 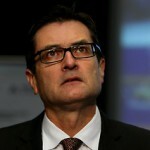 Combet hits out at Coal Association (0) July 19, 2011 The minister for Climate Change Greg Combet has claimed the Australian Coal Association is trying to frighten workers and regional communities over the carbon tax. Mining diabetes program launched (0) July 18, 2011 A Diabetes Australia program has launched, targeting type 2 diabetes amongst miners. Hanlong bid for Sundance Resources (0) July 18, 2011 Chinese firm Hanlong Mining Investment has made a 100% bid for Sundance Reosurces at $ .50 a share. 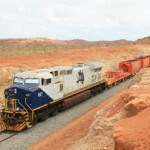 NRW wins Fortescue Solomon contracts (0) July 18, 2011 NRW Civil and Mining have won a number of new mining contracts at Fortescue’s Solomon Hub. 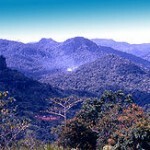 Goldminex signs farm-in with Vale (0) July 18, 2011 Goldminex has signed a farm in agreement with Vale for PNG copper. 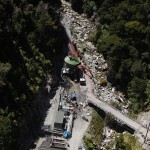 Pike River inquest delayed; CEO to face inquiry (0) July 18, 2011 The inquest into the Pike River disaster has been delayed as the miner’s chairman is due to take the stand. Short Survey: Chance to win a $500 flight centre gift card. 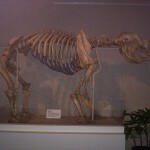 (0) July 18, 2011 Our R&R survey is closing, and so is your last chance to win. 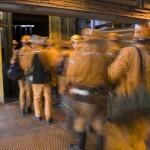 Chilean miners sue over disaster (0) July 18, 2011 The Chilean miners trapped underground for more than two months have sued the Chile Government for negligence. Calls to stop Central Coast coal mining (0) July 15, 2011 The Federal member for Wyong has called on the State Government to ban all coal mining in the region. 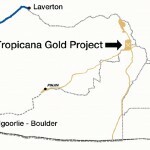 Macmahon win Tropicana Gold contract (0) July 15, 2011 Macmahon Holdings have won a ten year mining contract to develop the Tropicana Gold project. 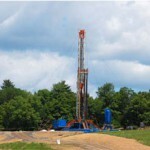 Changes to reporting criteria for coal and CSG exploration in NSW (0) July 15, 2011 Changes have been made to the planning and performance reporting criteria for the New South Wales coal and coal seam gas industries. 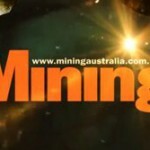 Australian Mining: Weekly Wrap 4 [Video] (0) July 15, 2011 This week we run through the carbon tax, the Pike River enquiry, and a bad week for mining safety. Gold mining fears in the Hunter Valley (0) July 15, 2011 Land owners in the Hunter’s Karuah River Valley have raised concerns over Gold of Ophir’s application for exploration. 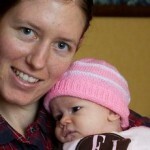 Don’t play blame game: mother of Pike River baby (0) July 15, 2011 The mother of the baby girl born to one of the Pike River miners trapped below ground says there is not point in blaming people over the tragedy. 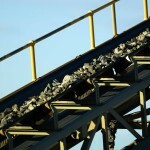 Dispute at QLD coal mine puts 400 jobs at risk (0) July 15, 2011 About 400 jobs are in the balance as two mining companies continue to argue about a marketing agreement, causing a Queensland mine’s stockpiles to reach near capacity. Multiple warnings over Pike River mine’s safety (0) July 14, 2011 A New Zealand mine expert told the Pike River inquiry he gave multiple warnings over safety risks at the coal mine. NSW safety conference this month (0) July 14, 2011 The NSW Minerals Council and Peabody Energy are hosting the ‘No Room for Error, Risk + Response’ safety conference at the end of July. Industrea win Lady Annie contract (0) July 14, 2011 Industrea’s mining services division has won a contract extension at the Lady Annie copper mine. 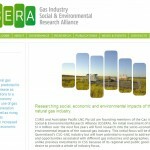 Coal seam gas alliance formed (0) July 14, 2011 The first ever research alliance to support sustainable development of the coal seam gas industry has formed. 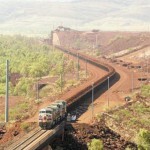 NRW wins Fortescue contracts (0) July 14, 2011 NRW has won rail contracts for Fortescue’s iron ore projects. 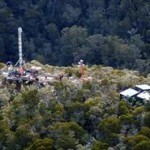 Pike River mining approach inadequate: geologists (0) July 13, 2011 Geologists have labelled Pike River Coal’s approach to mine geology inadequate, on the third day of the Royal Commission inquiry. 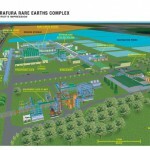 Lynas rare earths plant awards construction contract (0) July 13, 2011 Lynas Corporation has signed a Letter of Award with Toyo-Thai for the construction of its rare earth plant in Malaysia. 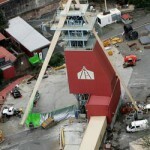 Germans enter Australian conveyor belt market (0) July 13, 2011 ConiTech has acquired Australian conveyor belt company M.I.R.S. 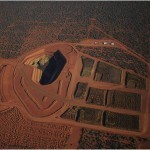 Fortescue consider Chinese float (0) July 13, 2011 Fortescue Metals have confirmed it is considering a float on either the Hong Kong or Shanghai stock exchanges. Real mine experience in the centre of Perth (0) July 12, 2011 Mining students in Western Australia have the opportunity to learn about the industry right in the middle of the Perth CBD. Lithgow quarry extends operating hours (0) July 12, 2011 A quarry will extend its operating hours after winning an appeal against a council decision to refuse an extension. Mine companies exploring old mining regions (0) July 12, 2011 Two mining companies will begin an aerial survey of the exploration licence area on the old Orara goldfield in northern New South Wales. 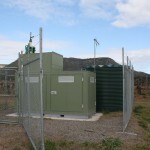 Pacific Energy to build gold mine power station (0) July 12, 2011 Pacific Energy has won the contract for a 3MW power station at Avoca Mining’s Chalice gold mine. 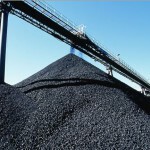 Peabody bids for Macarthur Coal (10) July 12, 2011 Peabody Energy has offered to buy Macarthur Coal for almost $5 billion; one day after the announcement of the carbon tax put coalmining at risk throughout Australia. 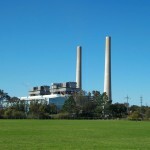 NSW may close coal power plants (0) July 12, 2011 NSW is considering the closure of coal fired power plants on the back of the Federal Government’s plan to pay some power stations to shut down. 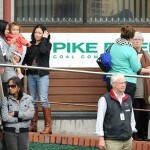 BMA strikes to restart (0) July 12, 2011 While the latest round of work stoppages at BMA coal mines concludes, unions will take further industrial action this week. 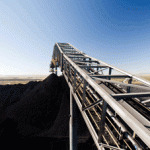 Rio Tinto slams carbon tax (5) July 11, 2011 Rio Tinto has warned of the damage the tax will have on investment and export for the mining industry. Pike River Royal Commission of Inquiry underway (0) July 11, 2011 The Royal Commission of Inquiry into the Pike River Coal tragedy is expected to hear some explosive evidence when it gets underway at 11:30am today. Carbon tax threatens thosuands of ‘real people with real jobs’ (0) July 11, 2011 The mining industry has raised its opposing voice to the carbon tax, saying it place thousands of jobs at risk and close coal mines within three years. 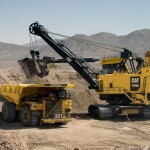 Caterpillar completes Bucyrus acquisition (0) July 11, 2011 Caterpillar has announced the finalisation of its Bucyrus acquisition. 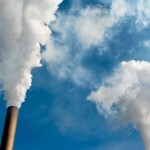 Carbon Tax: The basics (0) July 11, 2011 The key elements of the upcoming carbon tax. Hunter contractor fined for mine accident (0) July 11, 2011 A Newcastle contract company has been fined $55 000 after a miner’s leg was crushed by plant equipment. Man loses leg in Fortescue Port Hedland accident (19) July 11, 2011 A man has lost a leg and had the other crushed at Fortescue Metals’ iron ore facility at Port Hedland on Friday. Hunter Valley air quality worsens (0) July 8, 2011 A jump in Hunter Valley residents with respiratory problems has brought the focus on effect of mining on the region’s air quality. BMA lodges FIFO application for Caval Ridge (0) July 8, 2011 BMA has lodged an official application for a 100% fly in fly out workforce at their Caval Ridge coal mine. Miners’ anger over BHP death site orders (4) July 8, 2011 Miners were ordered back to work just hours after a man was killed at BHP’s Port Hedland facility. UQ offers carbon management workshops (0) July 7, 2011 The University of Queensland is offering the resources industries workshops to help manage their carbon costs. 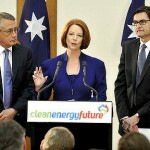 Carbon tax price revealed (0) July 7, 2011 The Federal Government is believed to have set the carbon price at $23 tonne ahead of its official launch on Sunday. 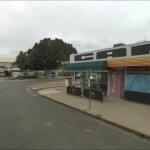 Miner pleads guilty to drunken rampage (0) July 7, 2011 A 40 year-old underground miner has pleaded guilty to a drunken rampage across Emerald, Queensland. 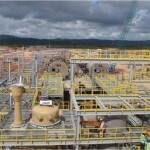 Minara Murrin Murrin acid plant offline (0) July 7, 2011 Minara Resources has announced that its acid plant at the Murrin Murrin nickel cobalt mine is offline. Miner killed at BHP Port Hedland site (0) July 7, 2011 A 27 year-old man has been crushed to death at BHP Billiton’s iron ore loading facility at Finucane Island in Port Hedland. 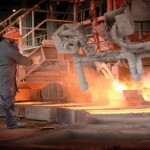 Bradken acquires two wear plate companies (0) July 7, 2011 Bradken has acquired Norcast and Australian and Overseas Alloy for $222 million. 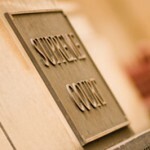 Hunter miner loses injury appeal (0) July 7, 2011 Wambo coal mine has lost its appeal against a payout for a worker injured on site. 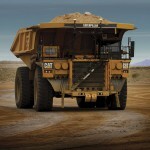 CAT sign autonomous truck deal with Fortescue (50) July 6, 2011 Caterpillar and Westrac have signed an MOU with Fortescue to implement autonomous vehicles at its Solomon iron ore hub. 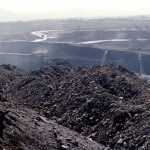 Burning coal stops global warming, study claims (0) July 6, 2011 China’s increased coal usage in the last decade has stopped global warming, according to a new study. 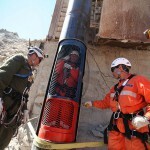 We can’t just keep doing the same thing: mining professor (0) July 6, 2011 A leading professor in the mining industry says companies need to get serious about safety and technology if they want to be allowed to continue operating. Tasmanian mining exploration fears (0) July 5, 2011 The Tasmanian Minerals Council have voiced concerns following forest peace talks. Federal govt does not own our resources: WA Mines Minster (0) July 5, 2011 The biggest problem for the Western Australian resources industry and economy will be the federal government, the state’s Mines and Petroleum Minister said. BMA coal strikes at Goonyella (0) July 5, 2011 Workers at the Goonyella coal mine picketed yesterday as industrial action escalates. 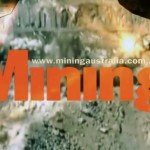 M&E WA starts today (0) July 5, 2011 The Mining and Engineering WA exhibition starts today. 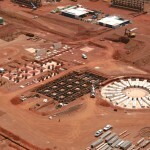 MinRes wins $1bn Fortescue plant contract (0) July 5, 2011 Mineral Resources has won the contract for Fortescue’s second ore processing facility at its Christmas Creek mine. 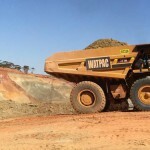 Watpac wins Iluka contracts (0) July 5, 2011 Watpac has won a number of earthworks mining contracts across Australia. 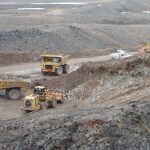 Mega Arctic iron ore mine planned (0) July 5, 2011 Britain’s richest man is planning a massive open cut iron ore mine, worth a potential $21 billion, in the Arctic Circle. NZ Government won’t contribute to Pike recovery efforts, minister says (0) July 5, 2011 Acting New Zealand energy and resources minister Hekia Parata says the government will not contribute to the cost of recovering the remains of the Pike River victims. 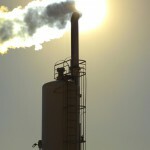 Incomplete carbon tax to be unveiled Sunday (0) July 5, 2011 The Federal Government has announced it will unveil its carbon pricing scheme on Sunday, despite being unfinished. 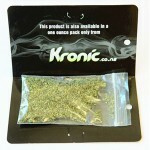 NSW mining industry supports Kronic ban (0) July 4, 2011 The decision by the New South Wales government to ban synthetic cannabis products has been welcomed by the state’s leading industry body. 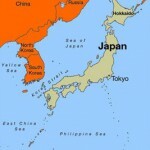 Japan uncovers huge rare earth seabed deposits (0) July 4, 2011 Japan has reportedly discovered massive potential seabed rare earths deposits 1000 times larger than those on land, researchers say. Union supports Pike River boycott (0) July 4, 2011 The visiting union head has warned that the Pike River inquiry is being closely watched by the worldwide mining community, with concerns about its safety standards. 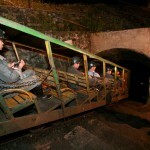 Forty trapped in Chinese coal mines (0) July 4, 2011 Forty Chinese coal miners are trapped underground as China touts increased mine safety. 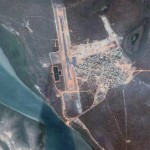 International tender for Aurukun bauxite (0) July 4, 2011 The Queensland Government will conduct an international tender for the development rights of the Aurukun bauxite in Western Cape York. 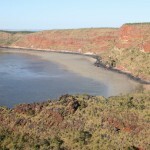 Palmer linked to company ignoring mine ban (0) July 4, 2011 Mining magnate Clive Palmer is under fire for involvement with a company ignoring a mining ban in the world’s most ecologically diverse marine environment. 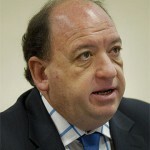 Macmahon wins Rio contracts (0) July 4, 2011 Macmahon Holdings has been awarded three mining contracts from Rio Tinto. 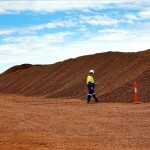 Fortescue breaches miners’ privacy (0) July 4, 2011 Fortescue Metals Groups has been accused of breaching its workers privacy through forced locker searches. 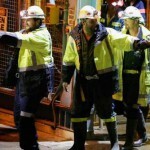 Miners worldwide will boycott Pike River: union (0) July 1, 2011 Pike River Coal is facing an international boycott unless it defines clear plans to recover the bodies of the 29 men who died underground in November. Cardno acquires BEC Engineering (6) July 1, 2011 Infrastructure group Cardno has acquired mining contractor BEC Engineering. 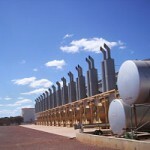 LNG company says fracking not dangerous (0) July 1, 2011 A gas company extracting liquid natural gas (LNG) from its reserves in the Surat and Bowen Basin has defending its fracking techniques. Industry alliance set to fight carbon tax (0) July 1, 2011 An alliance of industry groups has come together to fight the proposed carbon tax. Pollies call for better review of foreign investment in farmland (0) July 1, 2011 Politicians have called for a review of foreign investment regulation in a bid to protect valuable food-producing farmland. 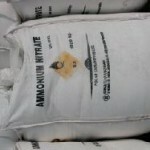 Increase safety measures at Lynas rare earths plant, IAEA say (0) July 1, 2011 Lynas Corp has been told to lift the safety standards at its Malaysian rare earths processing plant. Mine tyres cost more than a Mercedes (0) July 1, 2011 Would you rather buy a tyre for a mining truck or a Mercedes sports car? Because the latter could be cheaper. 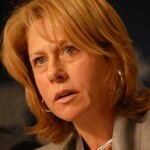 Anglo Coal CEO warns against mining taxes (0) July 1, 2011 Anglo Coal chief executive Cynthia Carroll has warned against governments seeking excessive taxes if they want continued mining investment. 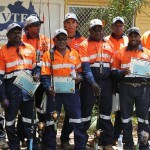 FMG reaches indigenous employment target (0) June 30, 2011 Fortescue Metals Group (FMG) has announced it has reached its target to train and employ 300 Aboriginal people by the end of June. 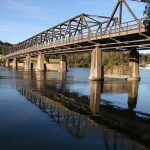 ACCC accepts Hunter Valley rail arrangements (0) June 30, 2011 The Australian Competition and Consumer Commission today accepted arrangements to remove bottlenecks on the log jammed Hunter Valley rail network. Tinkler requests extension on payment for Knights deal (0) June 30, 2011 Nathan Tinkler’s bid to buy the Newcastle Knights has is in doubt, with the mining magnate unable to meet crucial financial commitments in time for the handover deadline today. 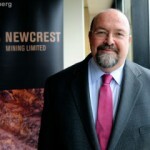 Newcrest CEO steps down (0) June 30, 2011 Newcrest CEO Ian Smith will officially step down tomorrow. 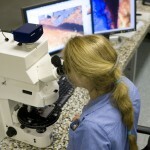 Campbell Bros acquires minerals testing group (0) June 30, 2011 Campbell Brothers have acquired geochemical and metallurgical services company Stewart Holdings Group. 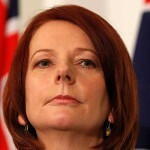 Gillard not backing down on mining tax (0) June 30, 2011 Prime Minister Julia Gillard has shot down Bob Brown’s call for changes to the mining tax amid indications that key independents can be depended on for support. Recovering bodies too expensive: Pike River receivers (0) June 30, 2011 Pike River Coal receivers say they cannot recover the bodies of the 29 men who lay entombed in the New Zealand mine because they can’t afford it. 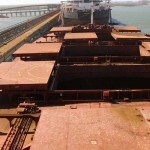 Gindalbie Metals’ billion dollar Karara cost blow out (0) June 30, 2011 Gindalbie Metals has announced that its Karara iron ore project will now cost $2.57 billion, in line with guidance in March. 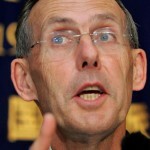 Bob Brown racist, Minerals Council claims (0) June 29, 2011 The Minerals Council of Australia has labelled the Greens and Bob Brown ‘xenophobic’ following their attack on the mining industry. Beaconsfield mine disaster, the movie (1) June 29, 2011 The Beaconsfield mine disaster of 2006 will be dramatised in a Channel Nine telemovie. 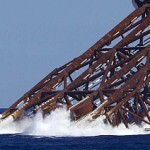 Rio sticks by uranium mining plans in wake of Japan crisis (0) June 29, 2011 Rio Tinto says it will soldier on with plans to mine uranium, even though it acknowledged the sector could remain unmoving for several years in the wake of Fukushima. 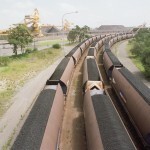 Asciano renew Coal & Allied haulage contract (0) June 29, 2011 Asciano has renegotiated its haulage contract with Rio Tinto’s Coal & Allied. 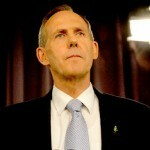 Brown pressures govt on mining tax (0) June 29, 2011 Australian Green Leader Bob Brown says he will put more pressure on the government to strengthen the mining tax. 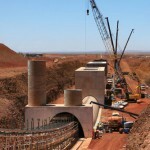 Downer secures Rio contract (0) June 29, 2011 Downer EDI has won the contract for Rio Tinto Iron Ore’s Warramboo project. 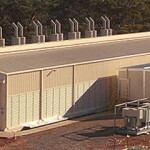 Explosive factory fears in Rockhampton (0) June 29, 2011 Rockhampton region residents have pleaded with the council to reject an application for a third explosives factory. QLD provide drilling grants (0) June 29, 2011 The Queensland Government has provided more than a million dollars for exploration drilling throughout the state. Pluton sign indigenous iron ore deal (0) June 29, 2011 Pluton Resources have negotiated a native title deal for its Irvine Island iron ore mine. 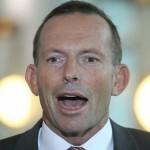 Mining industry under pressure, Abbott says (0) June 28, 2011 Tony Abbott has said the mining industry is under pressure from the Government at today’s AMEC convention. EDMS sell underground drilling division (0) June 28, 2011 Every Day Mining Services has sold its underground diamond drilling division to Swick Mining. 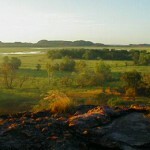 UNESCO listing on uranium deposit (0) June 28, 2011 UNESCO has granted World Heritage listing for Koongarra, a rich unranium deposit, in the Northern Territory. Xstrata seeking community feedback (0) June 28, 2011 Mining giant Xstrata has given residents in Mount Isa and Cloncurry a chance to voice its opinions about the company with a community survey launched yesterday. Central West mine to reopen (0) June 28, 2011 The Mineral Hill mine near Condobolin in the New South Wales Central West will re-open in coming months. 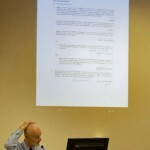 Tax miners more, public say (0) June 28, 2011 Nearly half of West Australians believe miners should pay more tax, a recent poll has revealed. 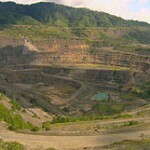 Bougainville defends involvement in PNG war (0) June 28, 2011 Rio Tinto subsidiary, Bougainville Copper has defended its alleged involvement in causing the civil war in Papua New Guinea. Hunter coal mines oil problem (0) June 28, 2011 The NSW Department of Planning has cited a number of Hunter Valley coal mines as having an oil containment problem. Rescue teams entering Pike River today (0) June 28, 2011 Rescue teams have been given the all clear to enter the Pike River coal mine today, following multiple set backs. 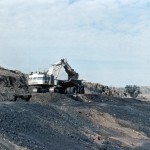 More coal strikes for Bowen Basin (0) June 28, 2011 Failed union negotiations have lead to another series of strikes at Bowen Basin coal mines.